You might have noticed that we are a little (not a little) obsessed with Natural Indigo. 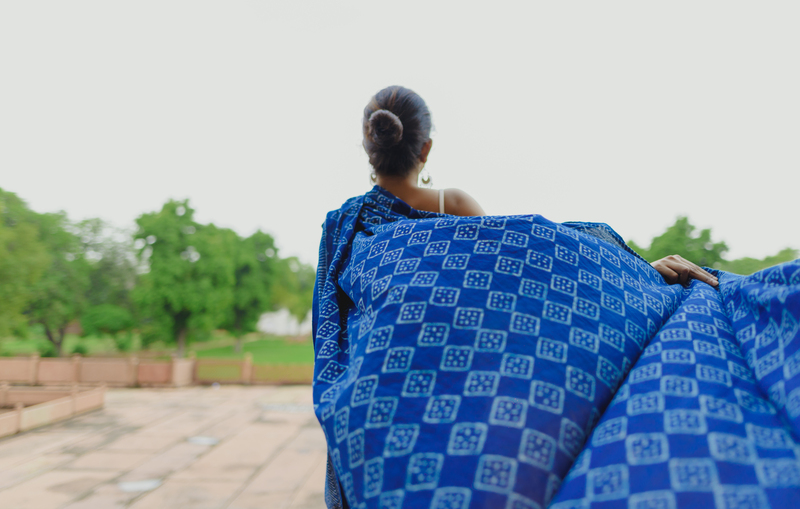 Once we decided that Swara will be a sustainable fashion brand, we started our search for the perfect fabric. We walked and biked and rode our way to an artisan’s home in Akola. The quaint little town breathed Indigo. It was Indigo everywhere we looked, and we loved it! We keep getting enquiries from customers on how to wash their Indigo garments. As these pieces are handprinted with natural materials they need to be treated with special care. 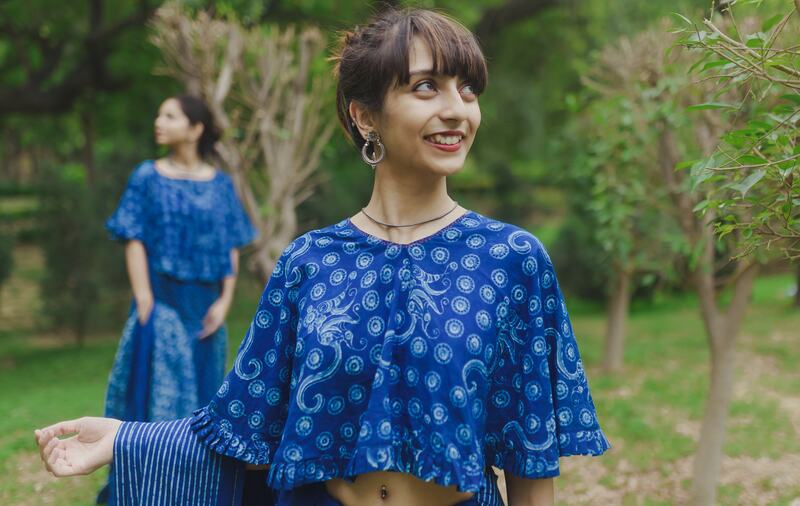 Having worked with Indigo dyed fabrics for more than a year now, we would love to give you some tips. Please wash these garments in cold water, separately from other items. Wash them with gentle, PH neutral soap. You may notice a little blue coming out into the water – this is normal and will not happen after a couple of washes. We recommend hang drying instead of machine drying. Please do not hang dry these garments in direct sunlight – this can cause excessive fading. Store them away from sunlight. But do remember, your uniquely handcrafted Swara attires are dyed with natural ingredients. In spite of the above mentioned care instructions, a small amount of fading over time can occur. This is normal and adds to the beauty of your attire.